Let’s take a look at the Instagram comedians. They don’t come to you telling you to hire them for your next event. 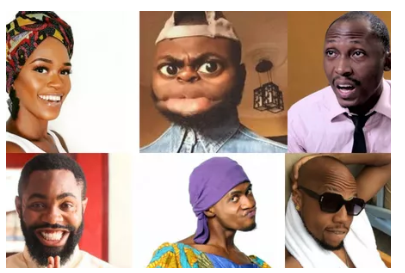 Rather they create content in form of funny skits and videos which serves as a marketing tool they use in getting you to know them, become interested in their brand and also make you believe in their craft.Then, when you need a comedian, emcee or influencer, they will be the first you reach out to. So whatever business you are in, this strategy works. First you create amazing CONTENT(Videos, articles, podcasts etc) which solves a problem for your prospect. This content makes you gain CREDIBILITY and build a community of people who believe in you and can’t wait to consume your content. Thereafter you create a PRODUCT that can make them part with their CASH. What other marketing lessons can we learn from them.